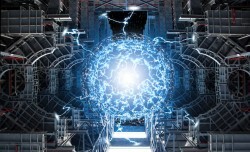 Wednesday - China aims to complete and start generating power from an experimental nuclear fusion reactor by around 2040. 5 Apr 19 - Despite increasing prices and evidence that too much beef is bad for health and the environment, the belief in China that eating red meat makes you strong persists and consumption is accelerating. Can the world quench China’s thirst for milk? 1 Apr 19 - China’s leaders have championed milk as the emblem of a modern, affluent society – but their radical plan to triple the nation’s consumption will have a huge environmental cost. 5 Mar 19 - China's use of coal increased again in 2018, raising questions about the Asian super power’s green energy transition. 25 Feb 19 - China wants to be the first country to launch power stations into space that capture the Sun’s energy and beam it back down to Earth. 31 Jan 19 - Satellite data collected from 2010 to 2015 show that China's methane emissions increased unabated during that period and that the increase was most likely driven by coal mining. 29 Jan 19 - China’s response to the demand for electricity has been to use advanced transmission technology that can bridge vast distances – technology that, ironically, harks back to the earliest days of electric power. 18 Dec 18 - China is producing so much food waste it has had to come up with some out-of-the-box thinking — like using a billion cockroaches to take care of the problem. 14 Dec 18 - All 16,000 buses in the fast-growing Chinese megacity of Shenzhen are now electric, and soon all 22,000 taxis will be, too. 6 Dec 18 - China has seen a bumper year for electric car sales, so it’s no surprise that a number “new energy vehicles”, as EVs are referred to in China, were the stars of the Guangzhou Auto Show. 28 Nov 18 - China still needs to do a lot of work before it can fully launch its long-awaited nationwide carbon emissions trading scheme. 23 Nov 18 - Mangrove forests could be adapting to climate change by growing beyond their usual range, according to a recent study. 12 Nov 18 - China will be urged to crack down on illegal CFC-11 production under an international declaration set for adoption at a meeting in Ecuador this week. 1 Nov 18 - A private aerospace institute in China plans to launch its own moon to save money on nightime lighting in a provincial city. 28 Sep 18 - Ninety-four per cent of the public think China should be in the Paris climate deal, although many don’t know exactly what that means. Just where on Earth is China's climate highway leading us? 20 Sep 18 - Triumph or catastrophe? Where will China’s climate path lead us all? So far there are both hopeful moves and warning signs, a new book says. 11 Sep 18 - China’s fishery authorities have introduced hard-hitting punishments for overfishing and illegal fishing by the country’s distant fishing vessels. 5 Sep 18 - Animal husbandry is contaminating China’s water and has been linked to turning lakes bright green, a phenomenon known as eutrophication. 9 Aug 18 - Satellite imagery reveals that many coal-fired power projects that were halted by the Chinese government have quietly restarted.